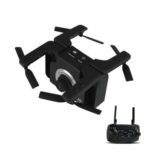 JD-16 is a true handheld flight camera, featuring 7.5cm body size, foldable design for easy carrying. 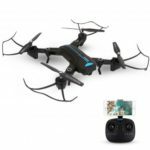 With stunning functions like 360 degree roll, one key return, one key take off/landing, headless mode, speed control, LED night light and more, it is the best choice for RC drone fan or novice. Pose gesture to the camera to take picture/start recording, and pose again to end, making your photography more convenient and wonderful. Built-in trick tumble program for 360 degree stunt roll with one click. Call back your quadcopter without any delay. 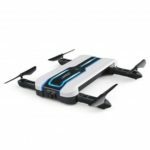 The drone can take off/land with one button. Connect it to the phone APP via WiFi to take pictures, videos, real-time transmission through the phone camera image. Built-in camera is tuned amazingly to capture stunning pictures and videos from the sky. The model 01 comes with 0.3MP camera and the model 02 comes with 2MP wide angle HD camera. Regardless of the angle of the aircraft at any angle, the aircraft is flying in the direction of the remote control, making control easier. Air pressure sensing, flying according to air pressure, make the aircraft more stable, easier for novices to control. 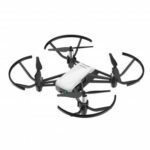 3 speed conversion, switch high-end speed when the wind is large to output greater torque, make the drone more stable. 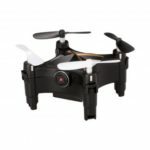 Built-in 6-aixs gyro ensures precise positioning in the air. The quadcopter can be thrown at random angles without affecting normal flight. 2.4G high sensitive remote operating, support multi-person operation at the same time, without interference with each other. Built-in LED night light, let you fly smoothly at night.